SPC William Griffie of the 2nd Striker Calvalry Regiment Fire Squadron 1st Platoon prepares to dismount from a mine-resistant vehicle in Zabol Province on Thursday, December 9, 2010. An uptick in explosions in the area north of Qalat has kept 1st Platoon on constant patrol. 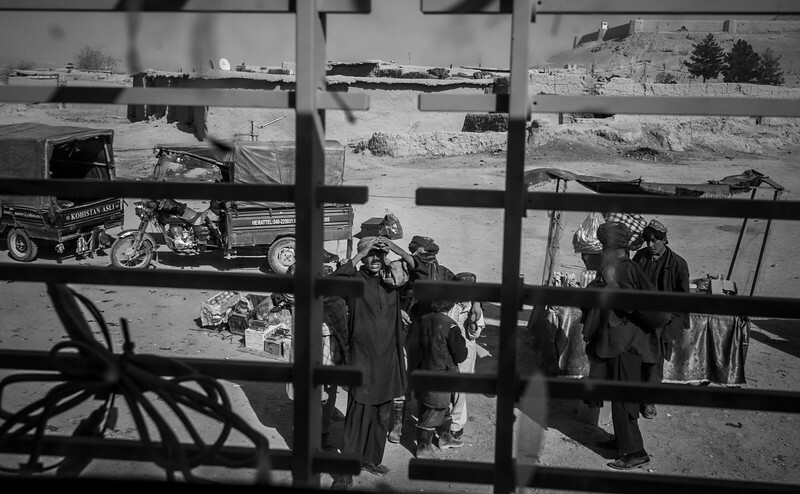 SPC Griffie's view of Zabol province from the back of a mine-resistant vehicle on Monday, December 6. 2010. His job is to dismount from the vehicle to check for mines in the road ahead. If Griffie gets blown up, the rest of his convoy knows the road's security has been compromised. 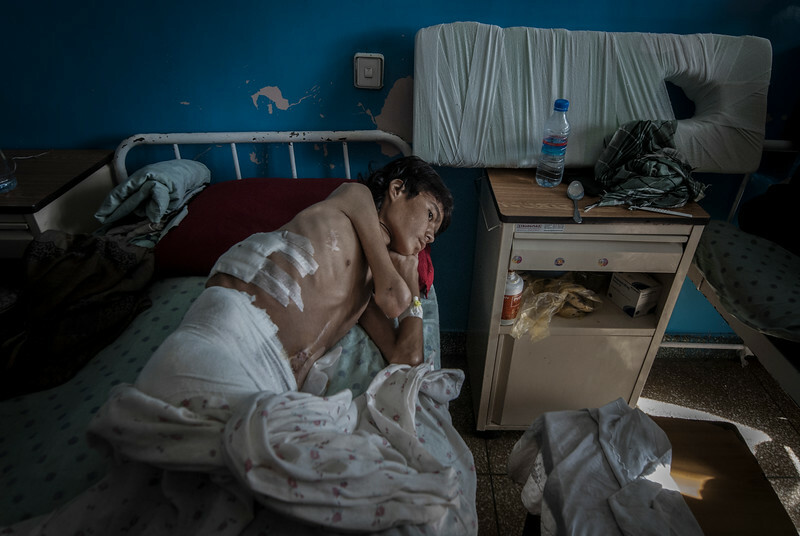 Sultan Serwan, 32, recovers at Herat Regional Hospital after driving over a mine in the west-Afghanistan village of Shendon on Sunday, October 3, 2010. 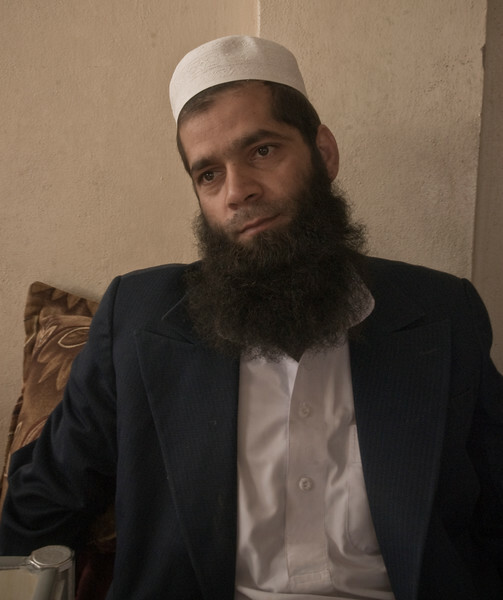 Serwan lost much of his left leg and endured shrapnel injuries to his chest. A man pounds at a tree root on the decaying Darulaman Palace grounds in Kabul on Sunday, October 24, 2010. 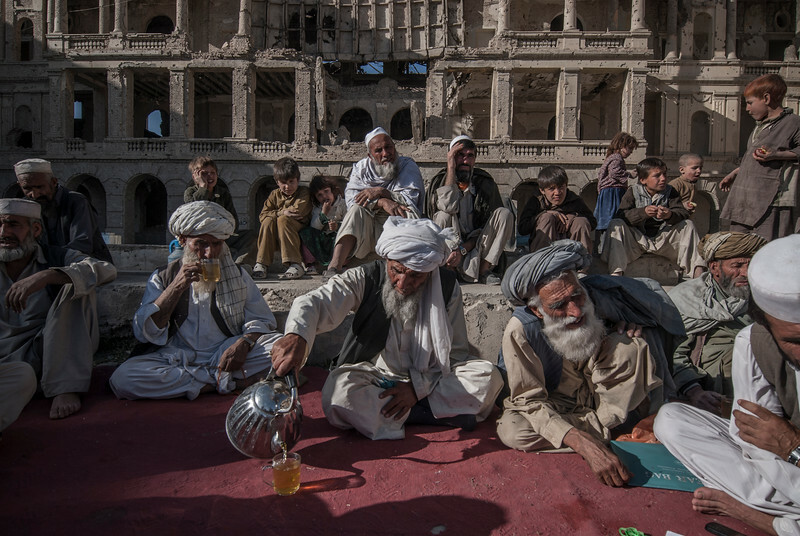 Kuchine refugees at Darulaman Palace in Kabul gather to drink tea and discuss survival through the winter on Sunday, October 24, 2010. 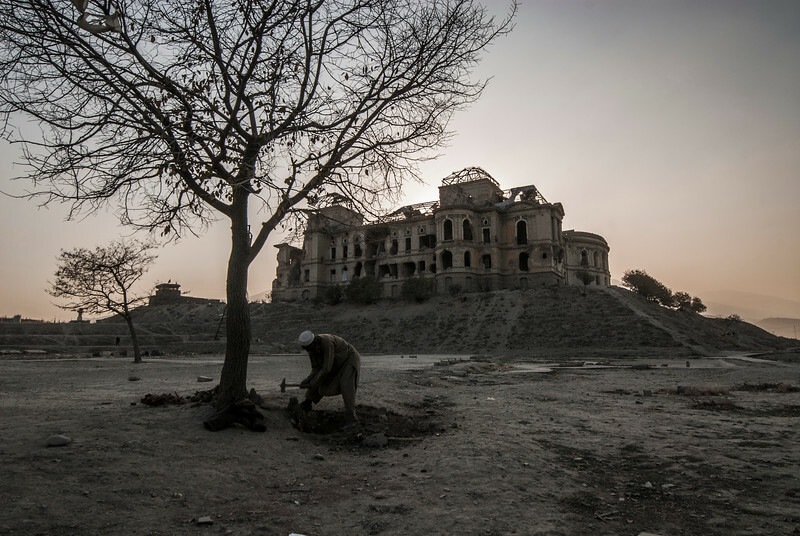 Local officials placed over 100 men, women and children belonging to the nomadic group at the abandoned palace after land disputes with Hazara groups turned violent in June. The crumbling structure offers neither clean water nor substantial shelter from the cold. 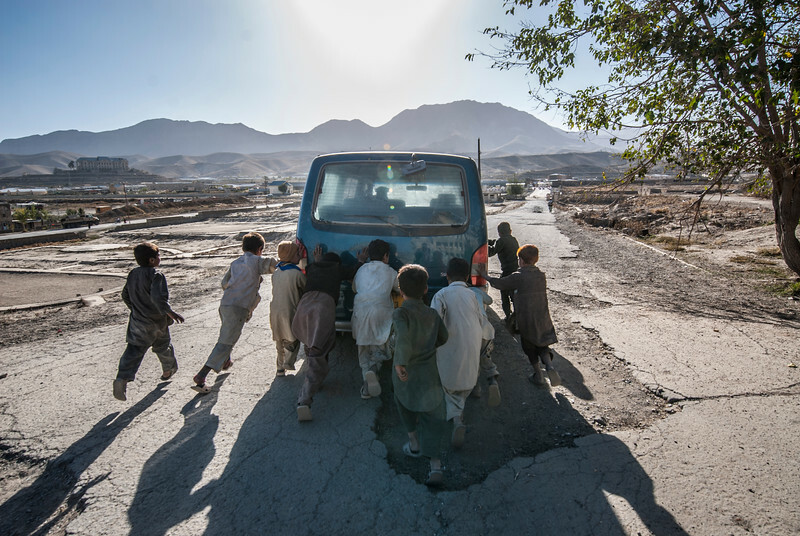 Kuchine refugees at Darulaman Palace in Kabul gather to push-start a mini-van on Sunday, October 24, 2010. Local officials placed over 100 men, women and children belonging to the nomadic group at the abandoned palace after land disputes with Hazara groups turned violent in June. The crumbling structure offers neither clean water nor substantial shelter from the cold. 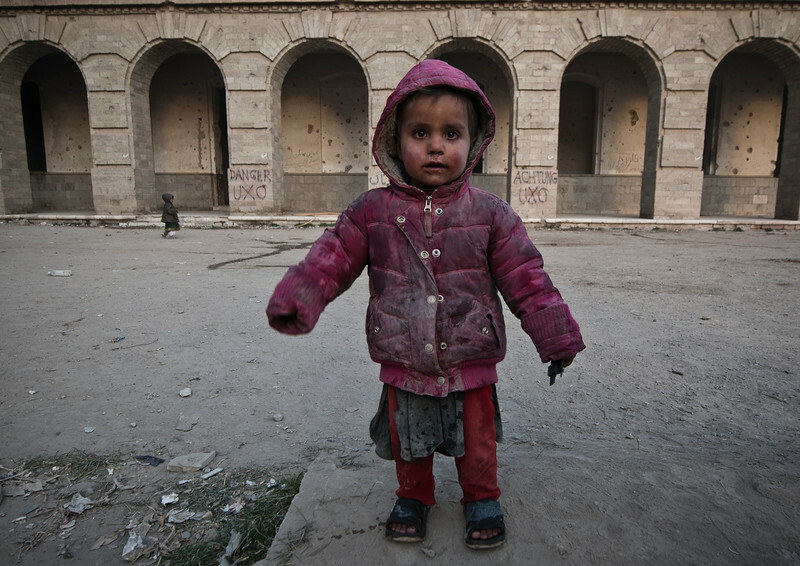 A Kuchine girl plays near signs that warn of unexploded ordinance on Thursday, November 24, 2010 at Darulaman Palace in Kabul. Local officials placed over 100 of the nomadic herdsman at the abandoned palace after land disputes with Hazara groups turned violent in June. The crumbling structure's cold walls don't offer much more than old bombs. There is not clean water and the airy corridors won't be substantial shelter from fast-approaching winter. 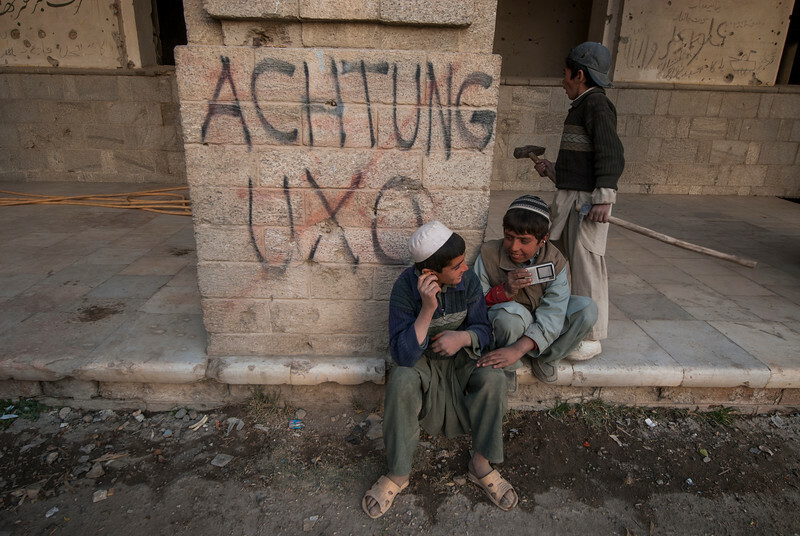 Boys play near a sign that warns of unexploded ordinance on Thursday, November 24, 2010 at Darulaman Palace in Kabul. Local officials placed over 100 of the nomadic herdsman at the abandoned palace after land disputes with Hazara groups turned violent in June. The crumbling structure's cold walls don't offer much more than old bombs. There is not clean water and the airy corridors won't be substantial shelter from fast- approaching winter. 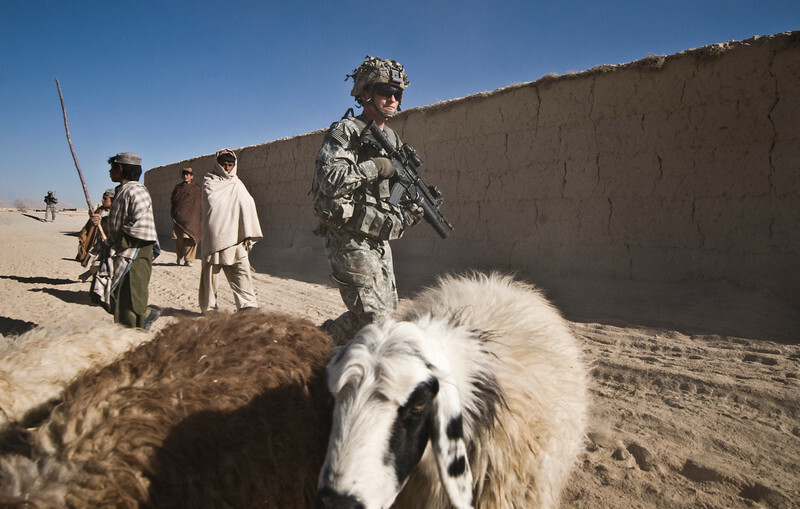 SPC Mike Bailey, 27, of 1st Platoon C-Company 7th Army 1-4, is surrounded by curious Afghan boys while watching the outskirts of the village of Pisani from inside a ditch Thursday, December 2, 2010. 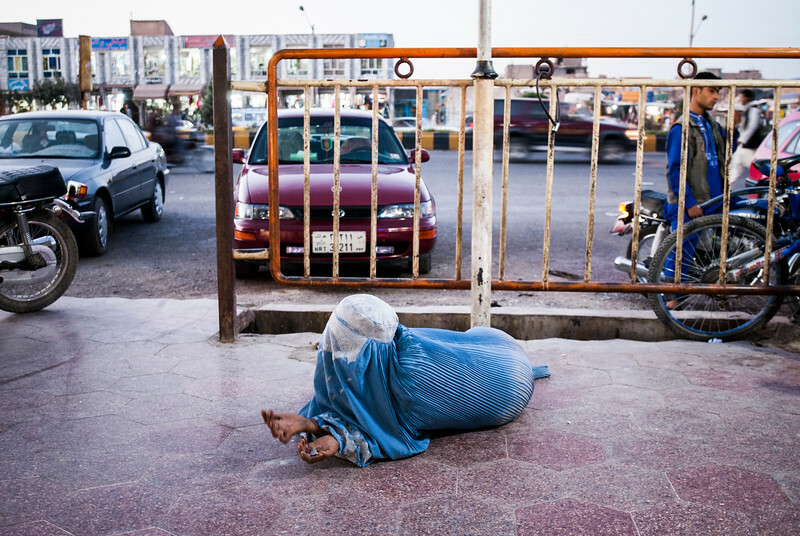 Afghans of all ages are notorious for gathering around foreigners and staring at them for an uncomfortable period, then asking for money, or chocolate, or a pen. According to military reports, cold weather is pushing foreign fighters back to Pakistan through Zabol province. Pisani and small neighboring villages serve as resting points for insurgents preparing for the trek through the mountains. First Platoon C-company 7th Army 1-4 patrols for IEDs in a drying riverbed near Highway One in Zabol on Tuesday, December 30, 2010. With winter weather coming in, coalition forces are on the lookout for insurgents heading through Zabol to Pakistan for the winter. 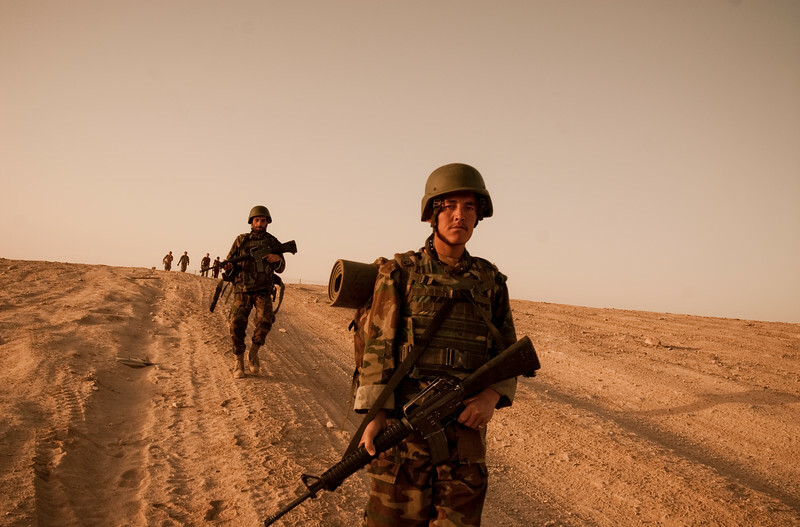 A weary Afghan soldier marches in the early morning in Uruzgan on Thursday, July 23, 2009. Aminullah, 19, wastes away in a bed at Merwais Hospital in Khadahar City Saturday, on December 11, 2010. 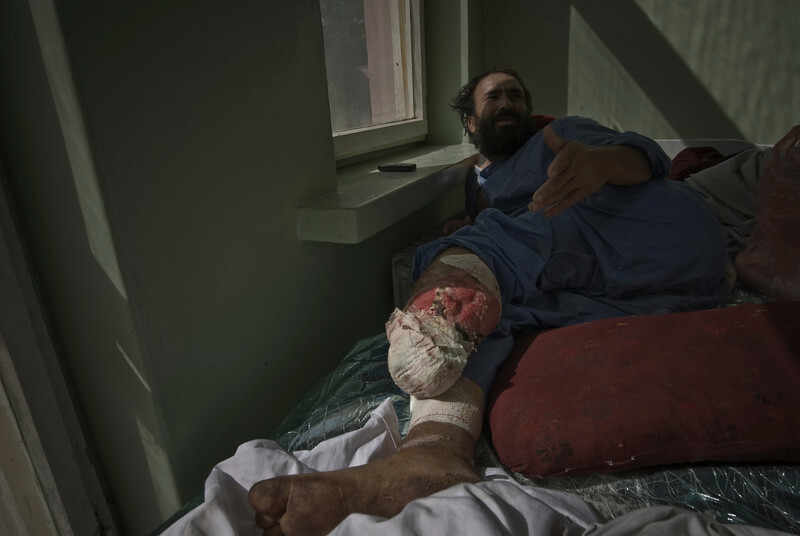 Aminullah was injured in an IED blast two months earlier near his small village in Helmand province. 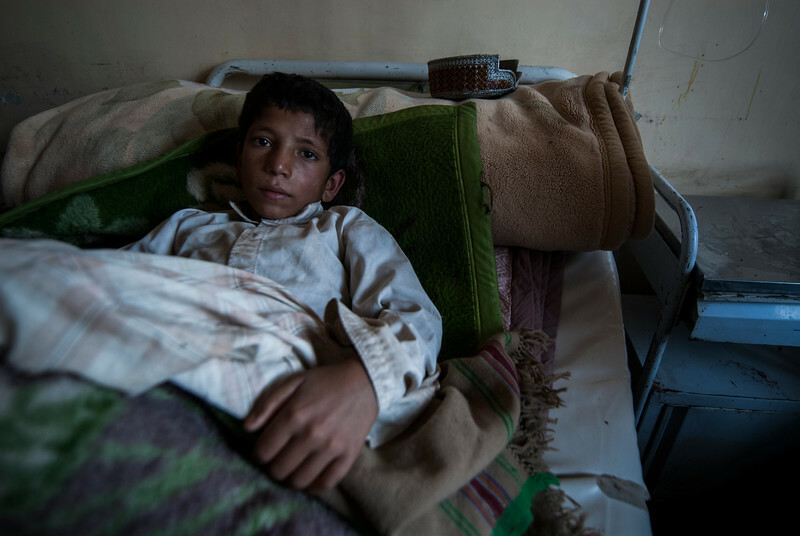 Afghan doctors were able to stabilize his injuries but they lack the equipment and therapeutic know-how to provide a long-term solution. Unable to digest even the liquid diet provided by the hospital, Aminullah is expected to die in this bed -- of malnutrition or infection -- before spring. 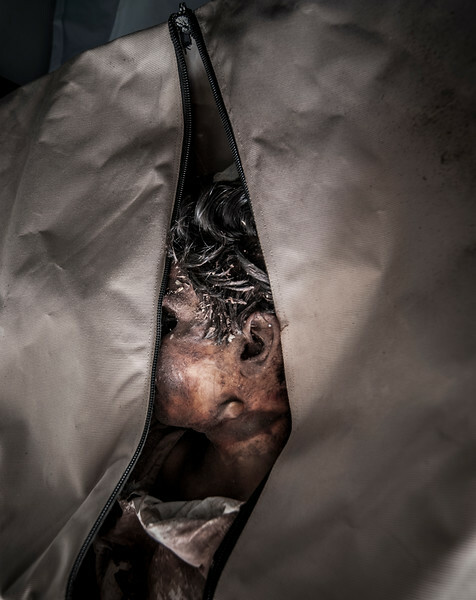 The body of a victim of gunfire in Kandahar province lies in an open bag in the dysfunctional morgue at Merwais Hospital in Kandahar City on Saturday, December 11, 2010. Corpses were overheating after refrigeration units broke-down three days earlier. 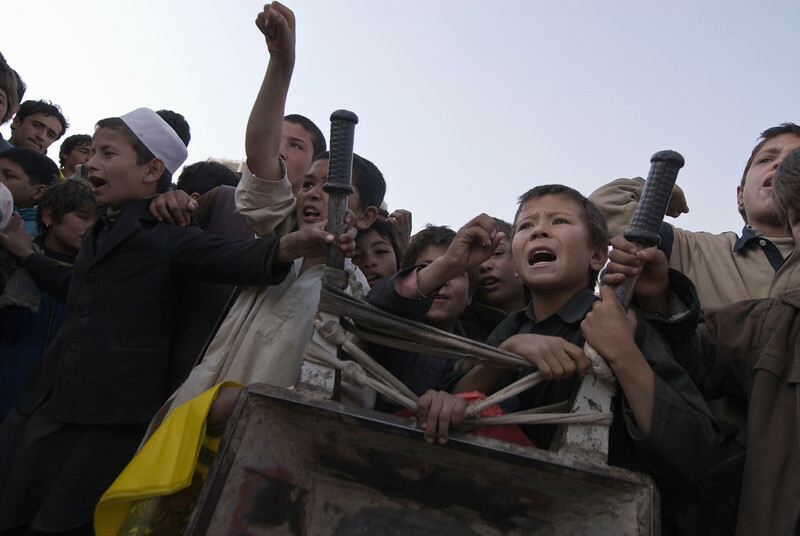 Street children and orphans gather to protest the lack of food for the poor in Mazar-E-Sheriff on Sunday, November 14, 2010. 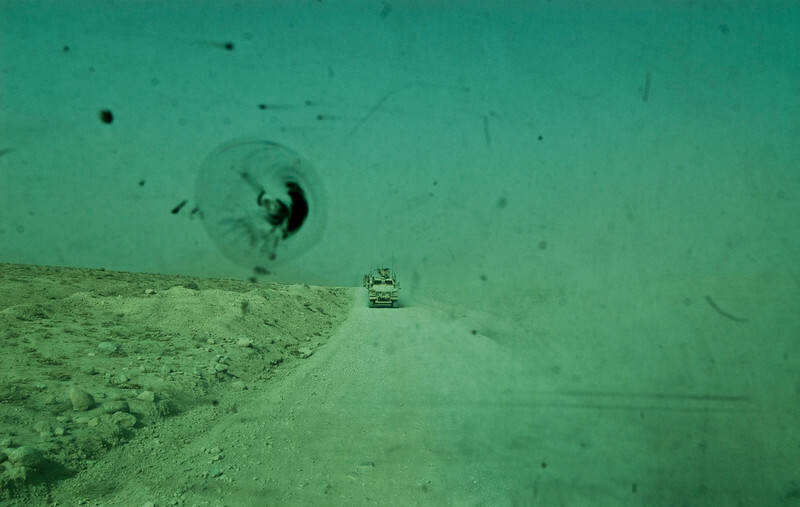 At left, a United States soldier looks out from the rear deck of a mine-proof Buffalo vehicle toward approaching Afghan children near checkpoint Cheena, north of Qalat in Zabol province on Tuesday, December 7, 2010. The photo at left shows the children's view from the ground. The photo at right is the soldiers' view from within the truck. 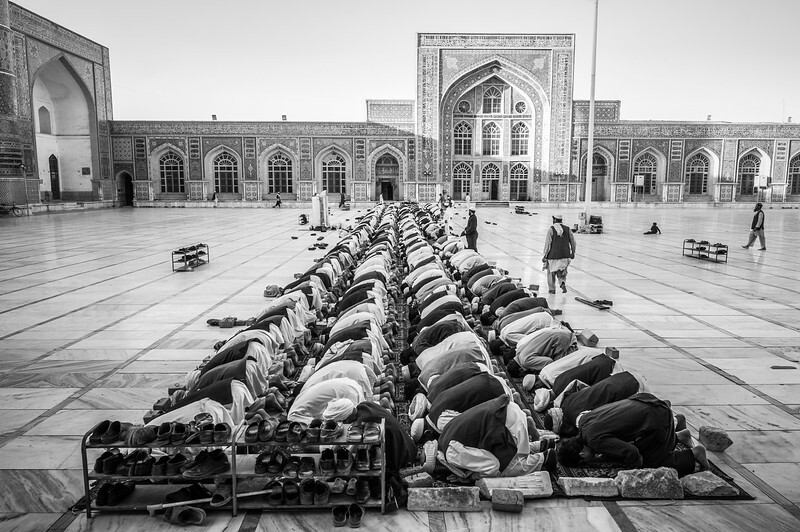 Men pray at Herat's main mosque on Tuesday, October 5, 2010. 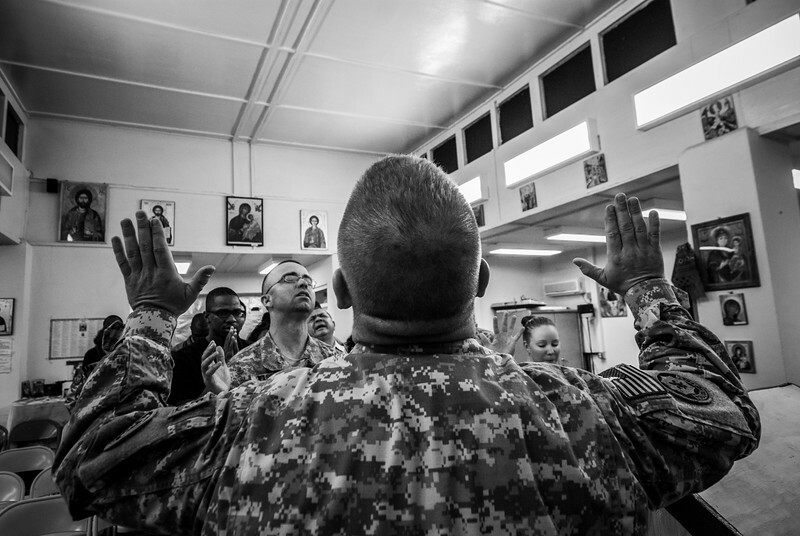 Chaplin Daniel Hogsten leads a Christian prayer service at US Forward Operating Base Lagman in Zabol province on Sunday, November 28, 2010. 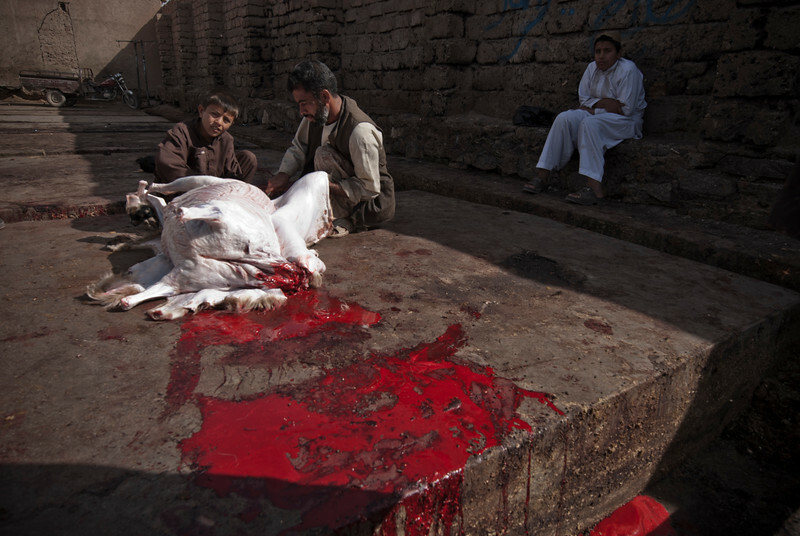 A father and son slaughter a sheep at the "ganj," the animal slaughtering structure in Herat, on Friday, October 8, 2010. 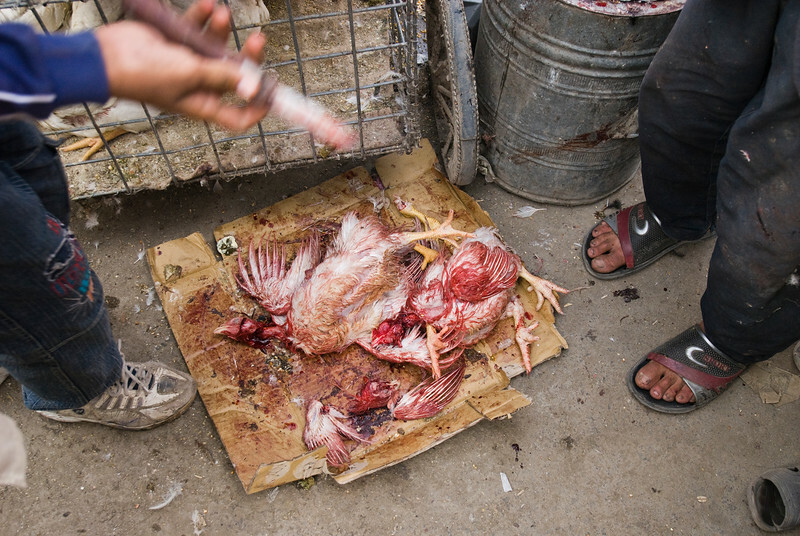 Naseer Kanai, 13, left, slaughters live chickens on the street at the old Kabul animal market on Wednesday, October 20, 2010. 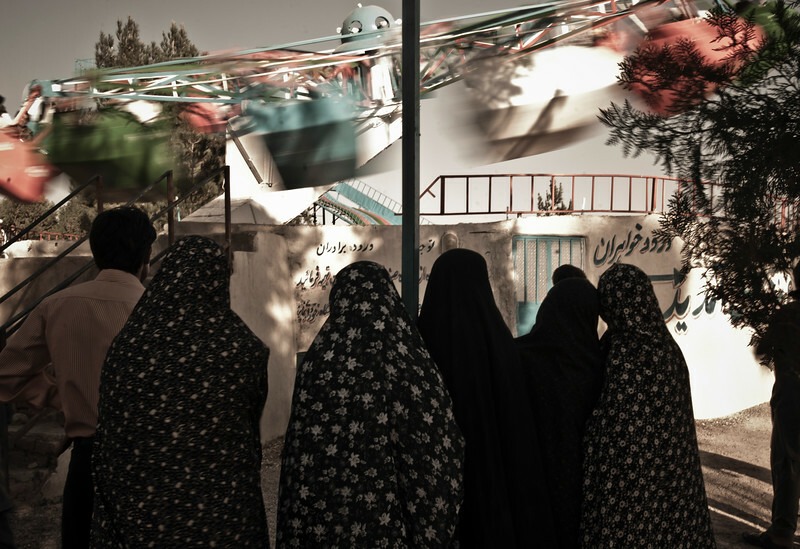 A group of women wait their turn for an amusement park ride in Herat on Saturday, October 9, 2010. 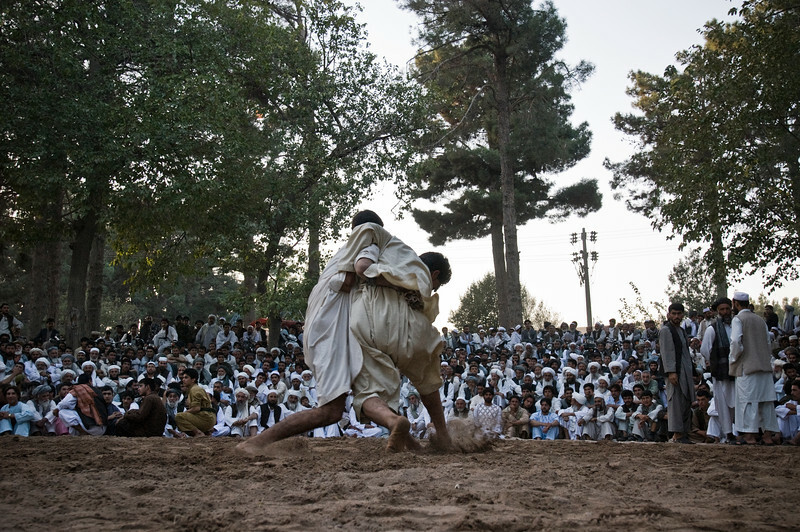 Two Q'ushdi wrestlers compete in Herat's outdoor sand ring on Saturday, October 2, 2010. PFC James Jack of 1st Platoon C-company 7th Army 1-4 patrols a village for IEDs near Highway One in Zabol. With winter weather coming in, coalition forces are on the lookout for insurgents heading through Zabol to Pakistan for the winter. Boys swim in the pool nestled atop the highest peak in the Wazir Akbar Khan district of Kabul on Monday, July 20, 2009. 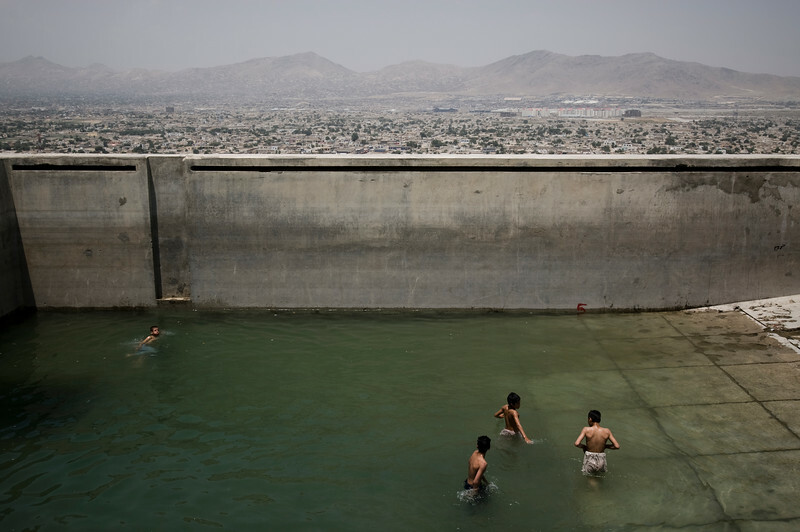 Years ago, under Taliban rule, the pool was drained and used only for executions by stoning. 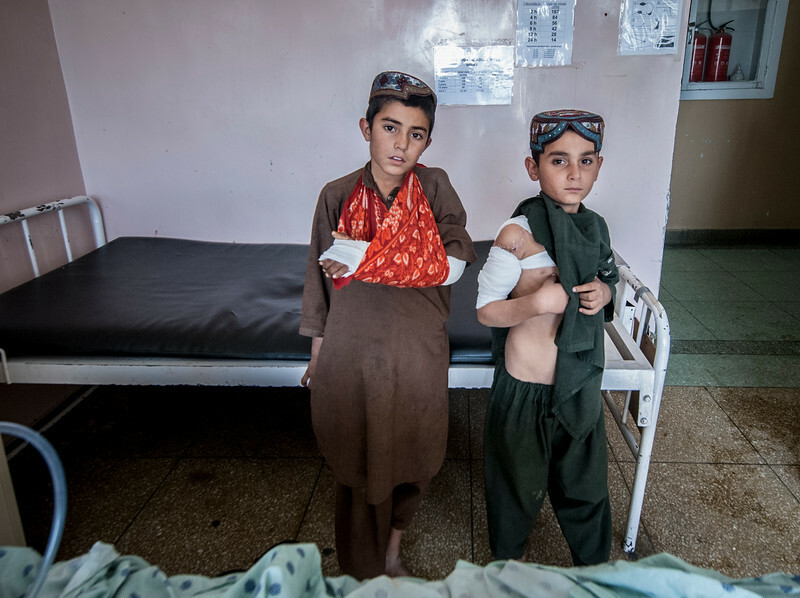 Benim, left, and Atash pose with their bandages, covering shrapnel wounds from a recent explosion near their home, at Merwais Hospital in Kandahar City on Sunday, September 12, 2010. Blankets are piled on a boy recovering from typhoid fever at a makeshift clinic without heat in Shajoy, Afghanistan on Wednesday, December 1, 2010. 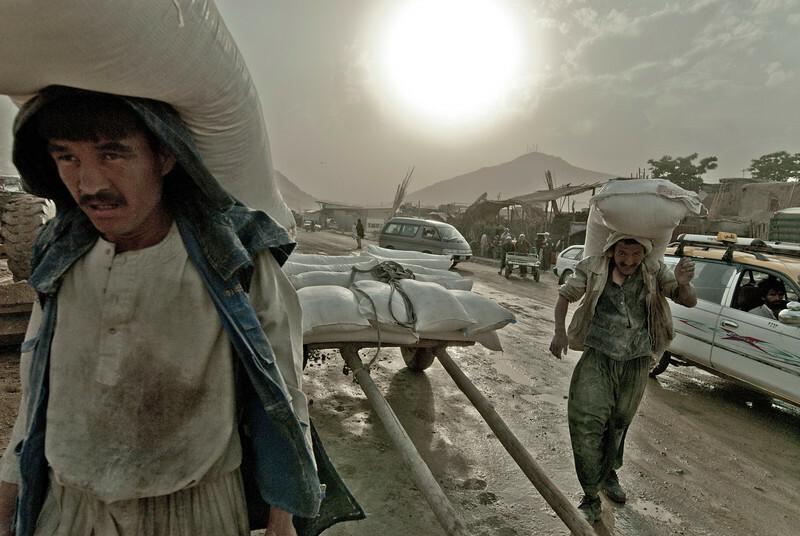 Day-laborers haul bags of sand in old Kabul on Sunday, July 19, 2009. A man carries a load to the main market on his head in old Kabul on Sunday, July 19, 2009. 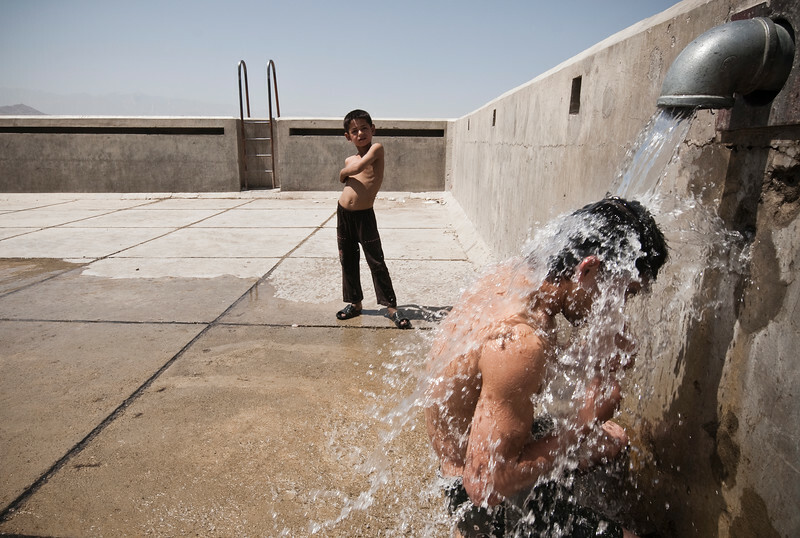 A boy waits in line to wash himself under the faucet in the empty swimming pool in Kabul's Wazir Akbar Khan district on Thursday, July 16, 2009. 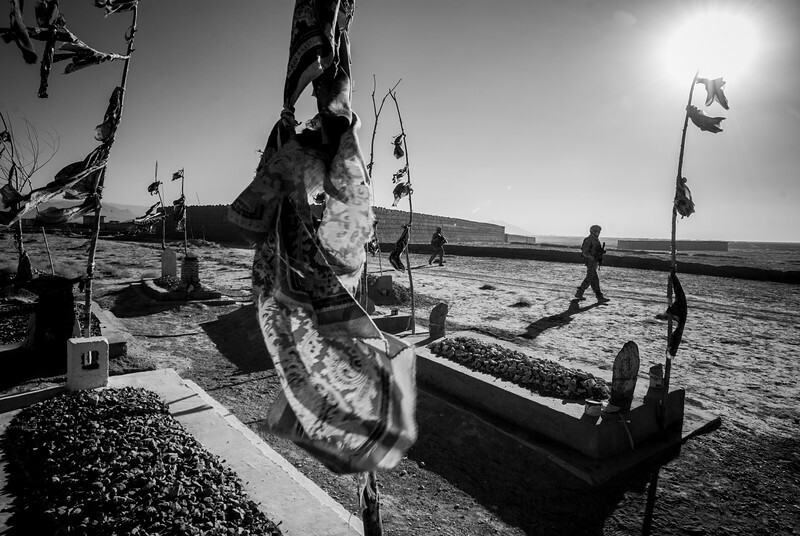 US soldiers pass an Afghan grave site in Shajoy on Wednesday, December 1, 2010. 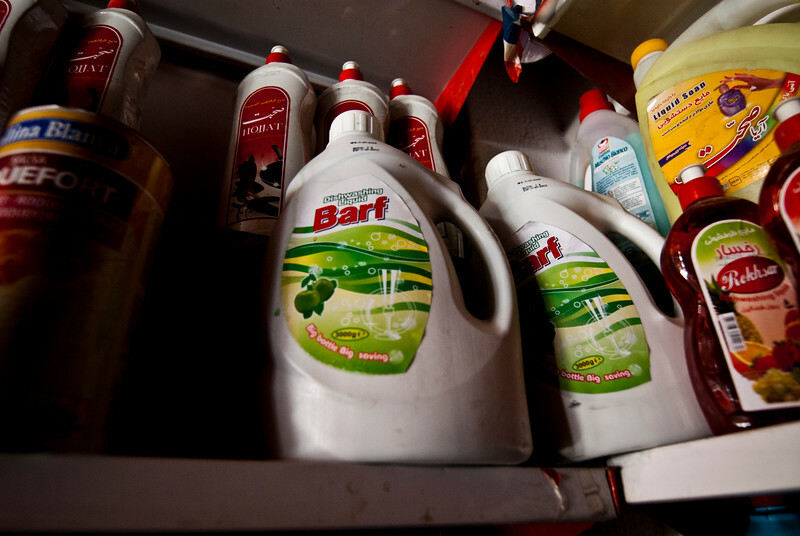 A sunbeam falls on a bottle of Barf, an apple-scented dish soap, in a Herat shop on Monday, October 11, 2010. 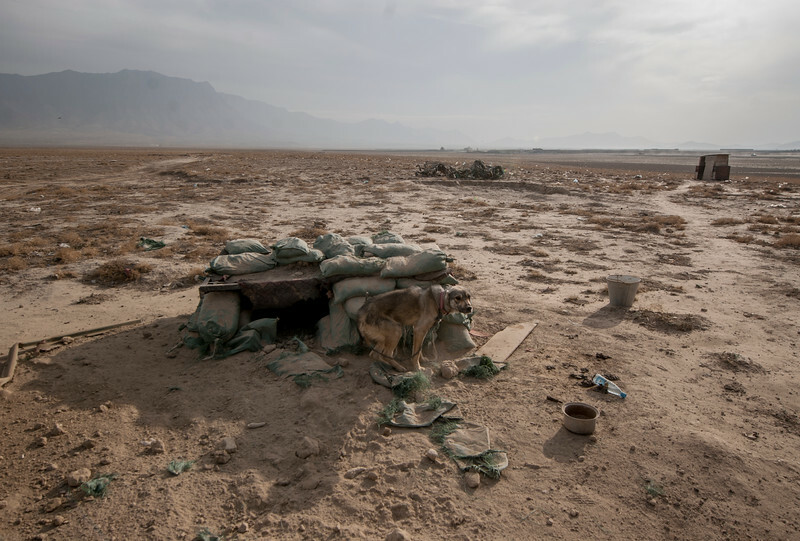 In Dari, Afghanistan's most-spoken language, "barf" means "snow." 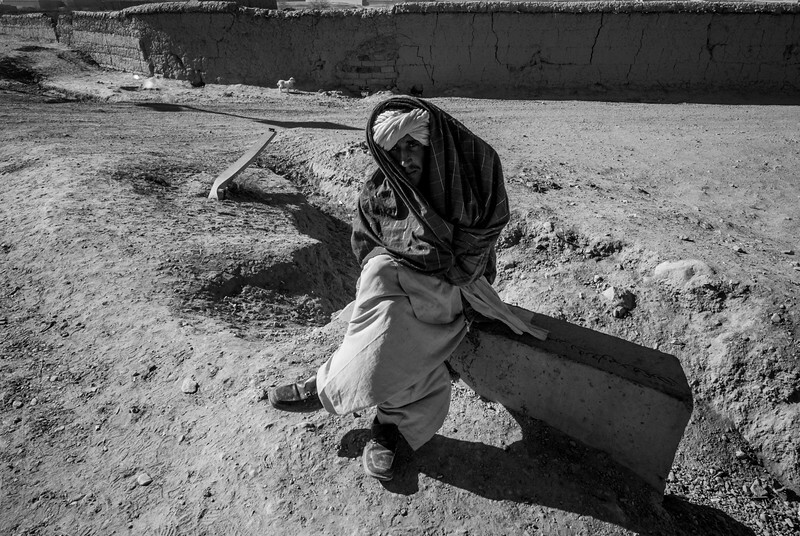 A man waits for a tuk-tuk in Qalat, Afghanistan on Thursday, December 2, 2010. 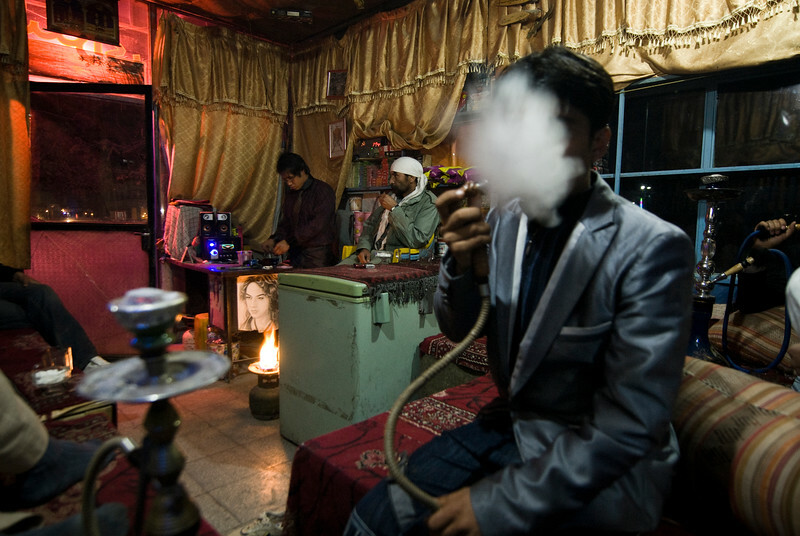 Jamal Hakimi enjoys a puff of smoke at a small hookah bar near the main mosque in Mazar-e-Shareef, Monday, November 15, 2010. 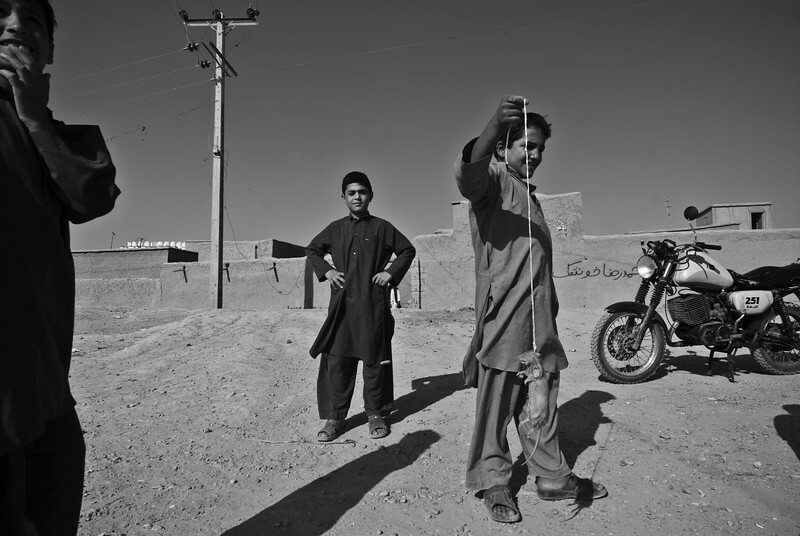 Afghan boys put their toy, a dead rat tied to a string, on display in western Afghanistan on Friday, October 8, 2010. An Afghan Army dog cringes at the sound of gunfire in Bagram on Monday, November 22, 2010. 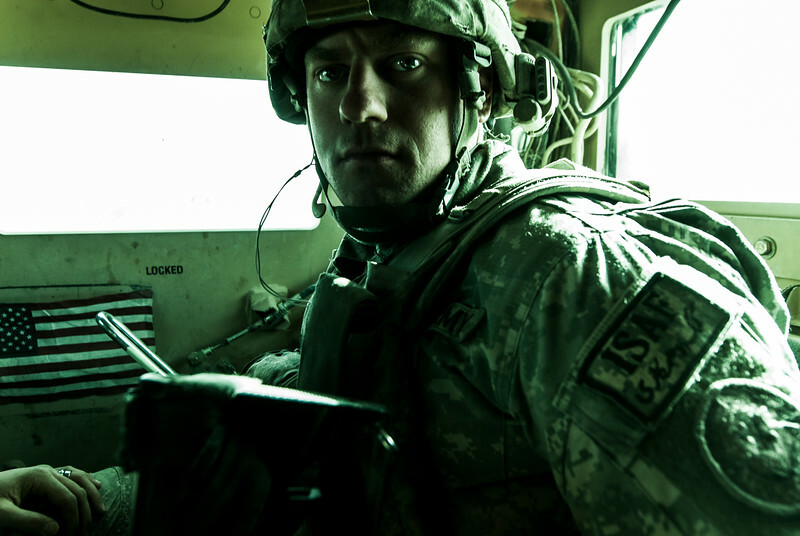 A man on the side of the road in Qalat peers into the window of a passing United States military vehicle on Tuesday, December 7, 2010. 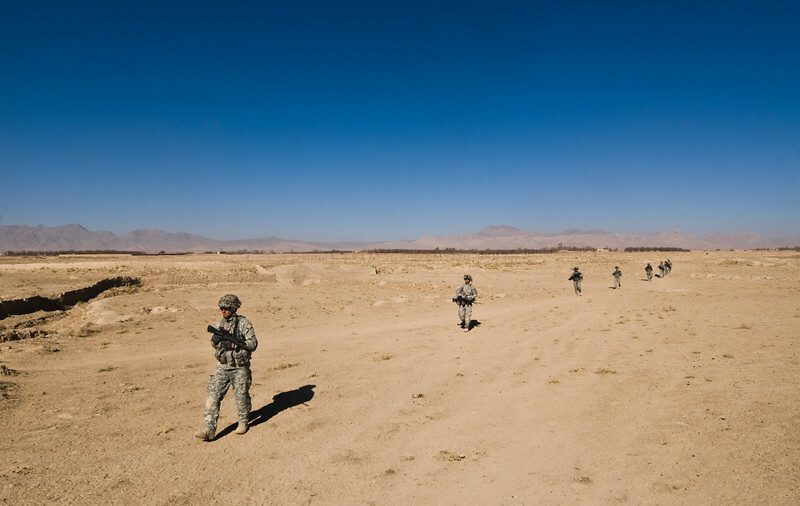 Soldiers of the 2nd Striker Cavalry Regiment, Fire Squadron, Engineer Troop, 1st Platoon walk in a line through the desert in Zabol province on Monday, December 6, 2010. A recent uptick in IED activity in the area around Qalat and Shajoy has kept the platoon on constant patrol. 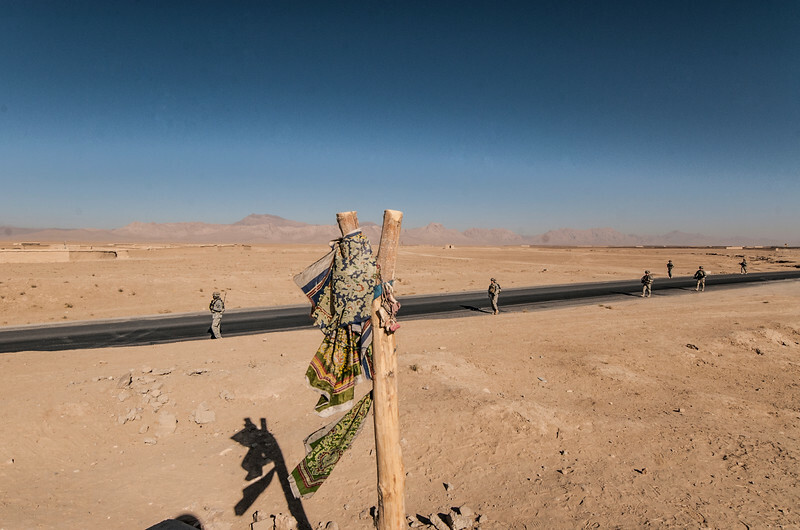 Soldiers of the 2nd Striker Cavalry Regiment, Fire Squadron, Engineer Troop, 1st Platoon march on Highway One in Zabol province Monday, December 6, 2010. A recent uptick in IED activity in the area around Qalat and Shajoy has kept the platoon on constant patrol. 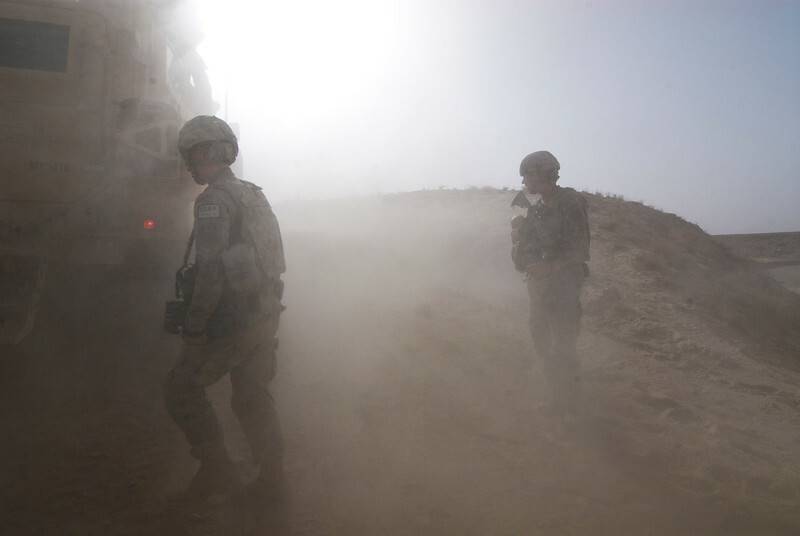 SPC Kyle Klofstad, 21, left, and SPC Jared Slate of the 2nd Striker Cavalry Regiment, Fire Squadron, Engineer Troop, 1st Platoon load into the back of an armored vehicle near Qalat in Zabol province on Monday, December 6, 2010. A recent uptick in IED activity in the area around Qalat and Shajoy has kept the platoon on constant patrol. 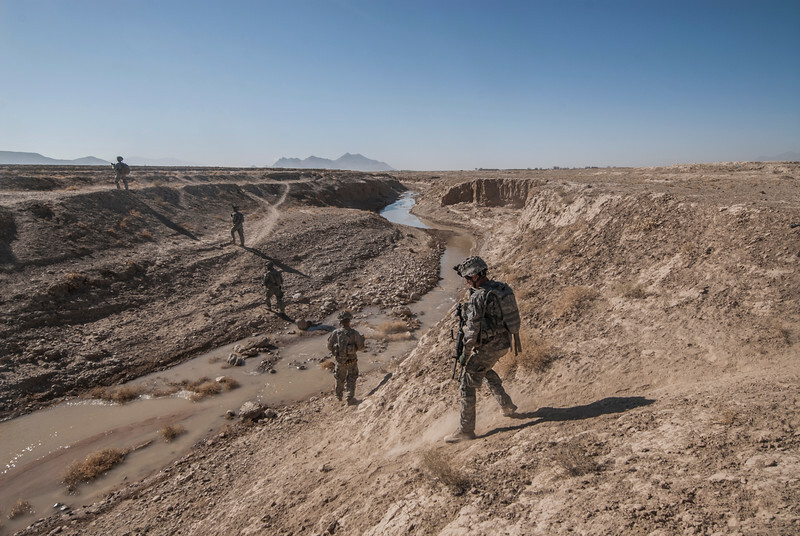 SPC Jared Slate and SPC Kyle Klofstad, top, of the 2nd Striker Cavalry Regiment, Fire Squadron, Engineer Troop, 1st Platoon walk ahead of a convoy searching for explosives buried in sand near Qalat in Zabol province on Monday, December 6, 2010. At right, a mine-resistant vehicle follows close behind them on the same stretch of road. A recent uptick in IED activity in the area around Qalat and Shajoy has kept the platoon on constant patrol. 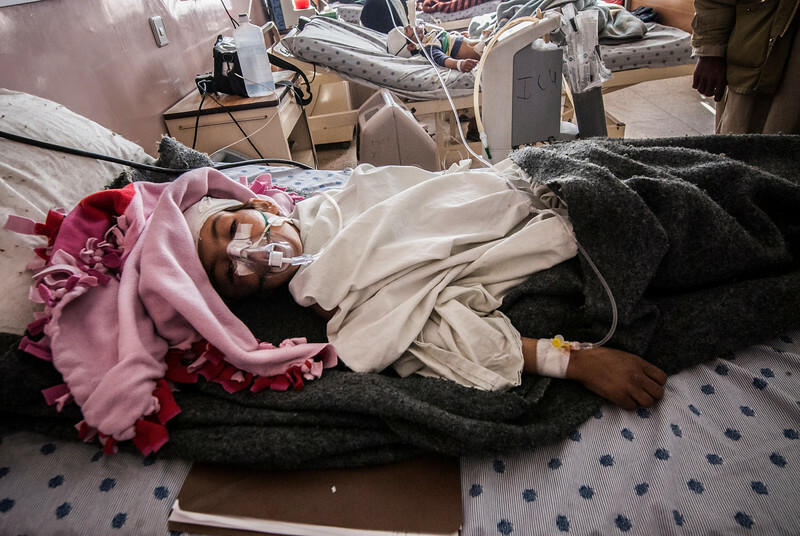 A girl suffering from shrapnel wounds from an improvised explosive recovers at Merwais Hospital in Kandahar City on Sunday, December 12, 2010. Merwais, the civilian-run hospital in Kandahar, lacks the staff and the technology needed for long-term care. Waste from a US military vehicle is set on fire in Zabol province on Wednesday, December 8, 2010. 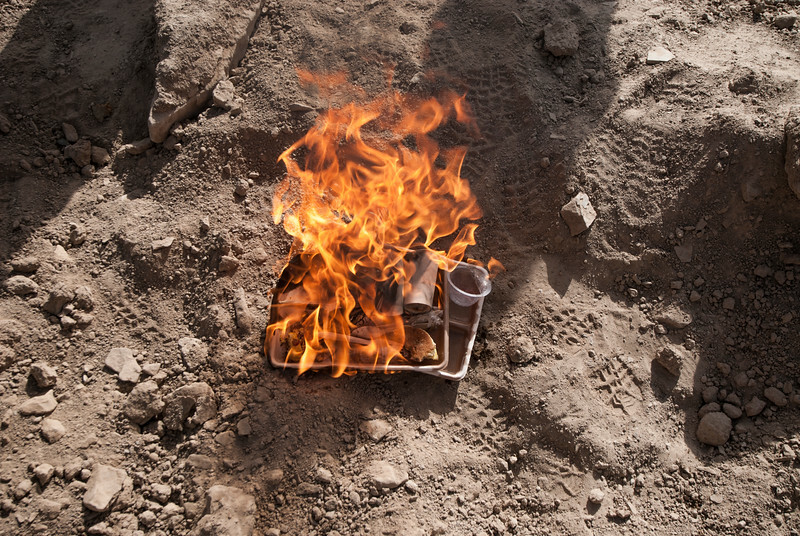 US soldiers routinely burn their trash out of boredom while on patrol. Soldiers from the 2nd Striker Cavalry Regiment Fire Squadron 1st Platoon show their tattoos in Zabol province on Wednesday, December 8, 2010. Under the tutelage of a former Taliban fighter, Afghan boys read aloud from the Qu'ran at the Herat madrasa on Sunday, October 10, 2010. For most young people, memorizing the Qu'ran is the only accessible form of education. 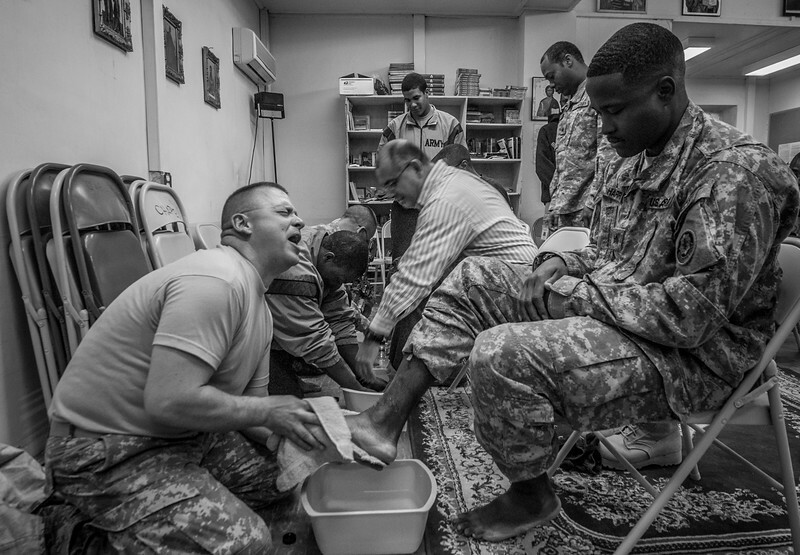 Chaplin Daniel Hogsten sings while washing the feet of a fellow soldier during a Christian prayer service at US Forward Operating Base Lagman in Zabol province on Sunday, November 28, 2010. 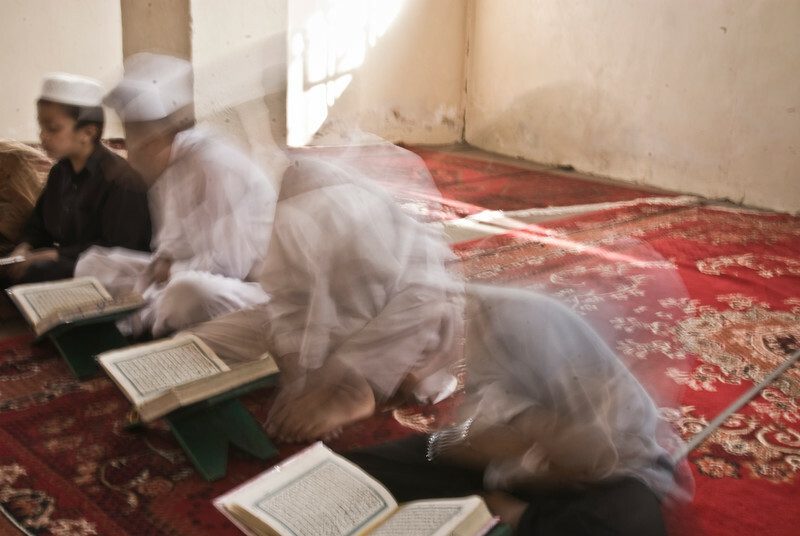 Under the tutelage of a former Taliban fighter, Afghan boys sway back-and-forth while reading aloud from the Qu'ran at the Herat madrasa on Sunday, October 10, 2010. 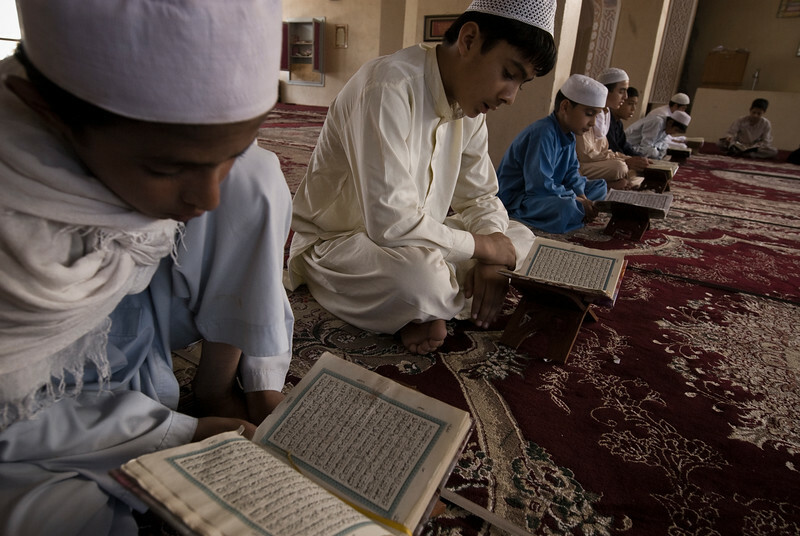 For most young people, memorizing the Qu'ran is the only accessible form of education. 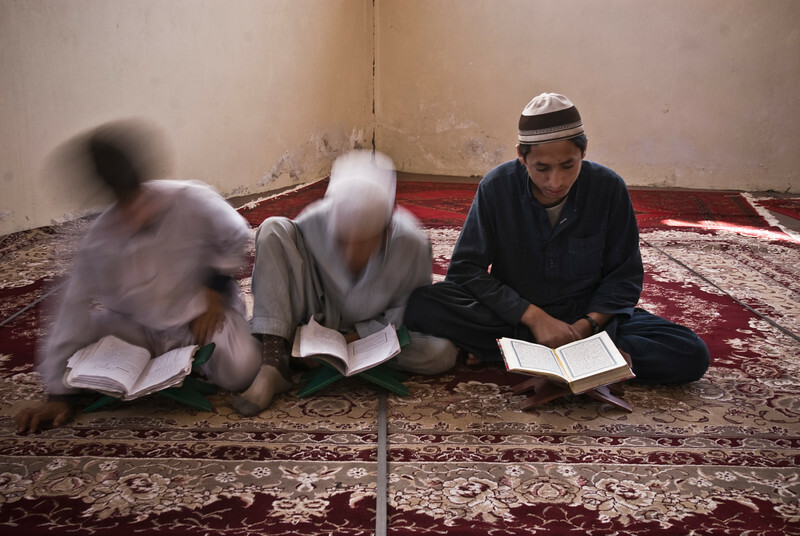 Nagibullah, a former Taliban fighter, teaches Afghan boys to interpret the Qu'ran at the Herat madrasa on Sunday, October 10, 2010. For most young people, it's the only accessible form of education.